A Complete Tutorial to Data Science for Newbies with Python!! 10 Machine Learning Algorithms for Beginners!! 65 Free Resources to start a career as a Data Scientist for Beginners!! The Great Data Science Glossary -1!! The Great Data Science glossary -2 !! Masters in Data Science in USA : Is pursuing a Masters Degree in Data science, a better idea than MOOC’s / BootCamps ? In god we trust , all others must bring data!! Pandas is one of the most useful data analysis library in Python (I know these names sounds weird, but hang on!). They have been instrumental in increasing the use of Python in data science community. We will now use Pandas to read a data set from a well known online competition, perform exploratory analysis and build our first basic categorization algorithm for solving this problem. Series can be understood as a 1 dimensional labelled / indexed array. You can access individual elements of this series through these labels. A dataframe is similar to Excel workbook – you have column names referring to columns and you have rows, which can be accessed with use of row numbers. The essential difference being that column names and row numbers are known as column and row index, in case of dataframes. 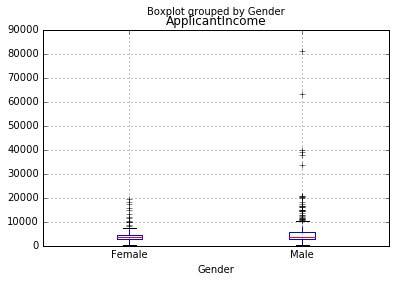 Series and dataframes form the core data model for Pandas in Python. 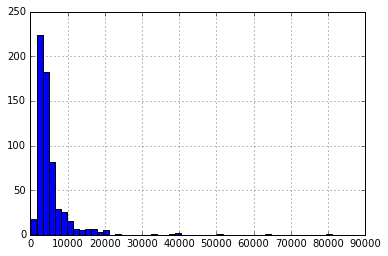 The data sets are first read into these dataframes and then various operations (e.g. group by, aggregation etc.) can be applied very easily to its columns. 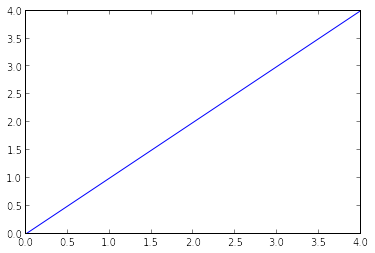 Please note that you do not need to import matplotlib and numpy because of Pylab environment. I have still kept them in the code, in case you use the code in a different environment. This should print 10 rows. Alternately, you can also look at more rows by printing the dataset. LoanAmount has (614 – 592) 22 missing values. 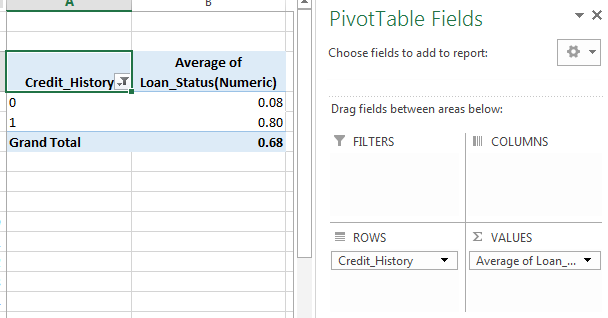 Loan_Amount_Term has (614 – 600) 14 missing values. 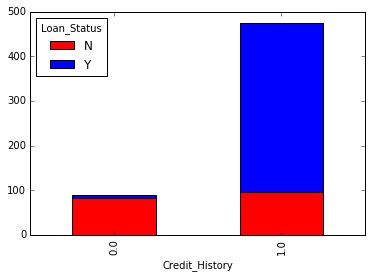 Credit_History has (614 – 564) 50 missing values. 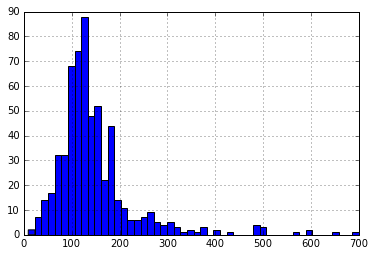 Please note that we can get an idea of a possible skew in the data by comparing the mean to the median, i.e. the 50% figure. Similarly, we can look at unique values of port of credit history. Note that dfname[‘column_name’] is a basic indexing technique to acess a particular column of the dataframe. It can be a list of columns as well. For more information, refer to the “10 Minutes to Pandas” resource shared above. Here we observe that there are few extreme values. This is also the reason why 50 bins are required to depict the distribution clearly. We can see that there is no substantial different between the mean income of graduate and non-graduates. But there are a higher number of graduates with very high incomes, which are appearing to be the outliers. Again, there are some extreme values. 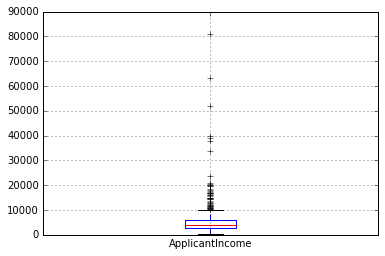 Clearly, both ApplicantIncome and LoanAmount require some amount of data munging. 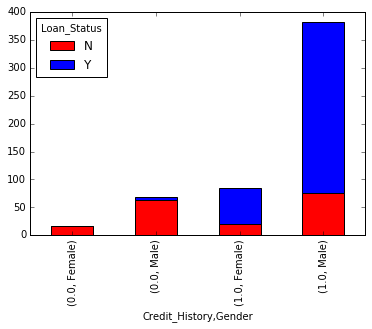 LoanAmount has missing and well as extreme values values, while ApplicantIncome has a few extreme values, which demand deeper understanding. We will take this up in coming sections. Note: here loan status has been coded as 1 for Yes and 0 for No. 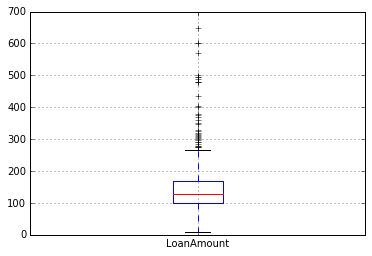 So the mean represents the probability of getting loan. Now we will look at the steps required to generate a similar insight using Python. Please refer to this article for getting a hang of the different data manipulation techniques in Pandas. 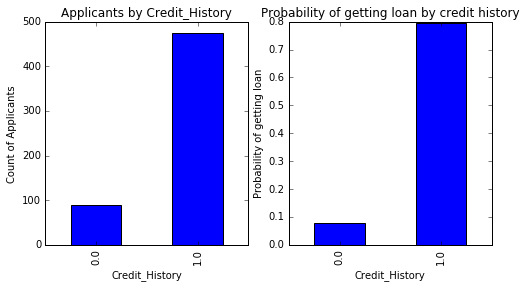 If you have not realized already, we have just created two basic classification algorithms here, one based on credit history, while other on 2 categorical variables (including gender). We just saw how we can do exploratory analysis in Python using Pandas. I hope your love for pandas (the animal) would have increased by now – given the amount of help, the library can provide you in analyzing datasets. Previous Post A Complete Tutorial to Data Science for Newbies with Python! !